We’ve been providing IT managed services to businesses like yours since 2005 and many of our customers who joined us early on are still with us today. Our Engineers are trained, expert and easy to talk to. We manage 1000s of Tickets per month and averaged a SLA Performance of 98% over the last three months. We pride ourselves on the fact that you’ll know our Engineers by name and they will know you. We create and share Knowledge Bases about our customers so that if your Key Point of Contact is on holiday, there is always someone for you to contact who understands your business and your IT needs. We are flexible and fast moving. We therefore appreciate that the unexpected sometimes happens and you’ll need us to go above and beyond our agreed SLA. 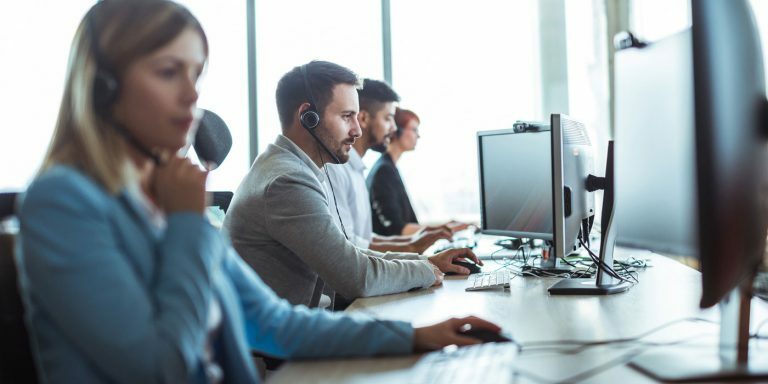 Our three IT Helpdesk support packages are costed on a per-user-per-month basis and are designed to be transparent in both cost and deliverables. The ability to combine our Helpdesk packages, enables businesses with both remote and office-based working requirements to tailor their support provision accordingly. Our remote support package gives you unlimited access to our Helpdesk on business days. Whether you call or email, your incident will be logged and dealt with by one of our team of experts. Because we’re an SME, you’ll get to know our Engineers by name and they will remember you too. We’re friendly and approachable, and we try to minimise the techy talk and just get on with fixing your issue. We offer a Business Premium Support Package for customers who want on-site support. This service gives peace of mind that you can have an Engineer on-site if an issue occurs that can’t be resolved remotely. Where possible, we’ll send out your Technical Key Point of Contact. If your key contact is unavailable, a qualified IT expert will arrive with you, fully briefed and ready to help. We believe it’s important you know how quickly we will respond when you report a problem with your IT, and how quickly we will fix it. For this reason, we provide detailed Service Level Agreements to all our clients. In addition, our IT Helpdesk system, AutoTask, enables us to track Tickets. AutoTask ensures our SLA response times are met and our Engineers are aware of the priority status of all their work at all times. Your Account Manager will operate as the lead point of contact for any and all matters specific to your business. Their role is to build and maintain trusted and long-lasting relationships with your key people. Your Account Manager is responsible for ensuring the timely and successful delivery of our solutions according to your needs and objectives. Your Technical Key Point of Contact will always be the lead Engineer on implementing IT Projects – such as migrating your IT Infrastructure to the Cloud. We provide monthly SLA Performance Reports via AutoTask. These reports highlight Ticket trends, identify recurring issues and show how well we are doing in meeting our SLA performance promises. The purpose of site visits is to provide maintenance and troubleshooting services. Whether we visit you annually or monthly, your Technical Key Point of Contact will agree, in advance, what tasks will be completed during the visit. We’re also flexible; so if something crops up on the day, we’ll do our best to resolve it for you there and then. For more information you can contact us on 023 9200 7850 via email info@westlake-it.co.uk or complete our contact form.